Need for Speed Most Wanted PS3 Review. 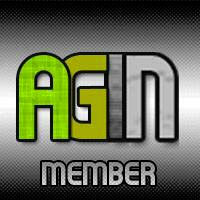 Ready for another exhilarating gaming experience? Need for Speed Most Wanted is your answer. 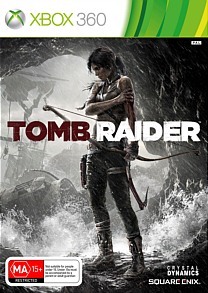 Going back to the franchise’s roots which made it the classic it is today, this is an unmissable instalment in the series that you must play. It’s time for your next dose of adrenaline. 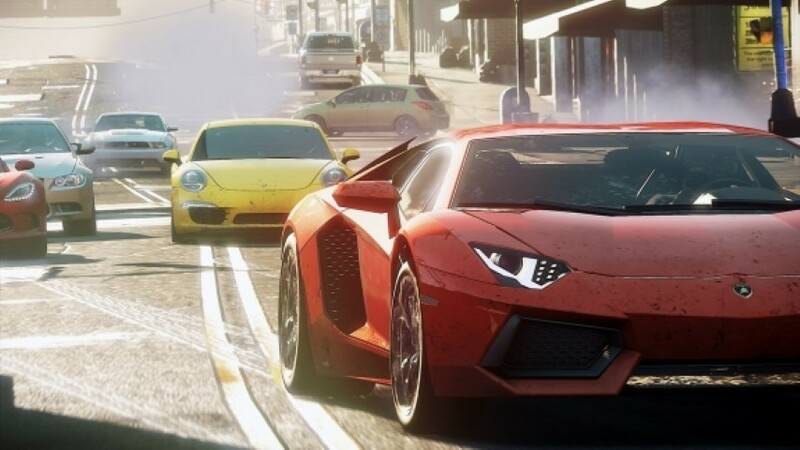 Criterion Games brings us their second adrenaline pumping rendition of Need for Speed with Most Wanted, not to be confused with the 2005 game with the same name. Featuring an open-world environment, a tonne of cars to drive from the get go, a perfectly chosen soundtrack and seamless gameplay, Need for Speed Most Wanted is the ultimate racing experience, and also the best racing game to be released this year. You arrive in Fairhaven, a city that is home to some of the most infamous street racers in the world. 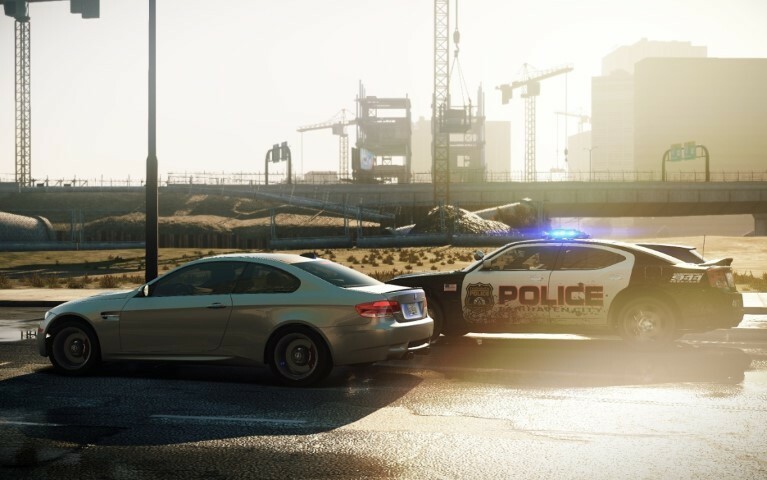 Your mission is to become one of the “most wanted”, and by completing races, evading the cops and wreaking havoc upon the city you may just get there. Most Wanted is a throwback to the classic games in the franchise; it focuses on the racing and not a story, which is what racing games are all about. 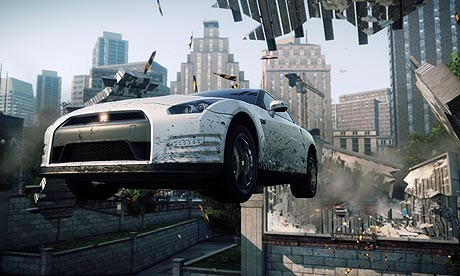 Most Wanted contains a new gameplay feature called EasyDrive, an innovative tool that allows players to customise their cars, select a race to enter and more while on the fly. It’s great as it prevents having to pause to go to a menu, but it can be a little distracting when getting into the more detailed menus so don’t be surprised if you forget that your car is still moving and crash into the side of the road. Still, it’s a great feature that could improve with a little tweaking. Overall the gameplay is extremely solid. Controlling the car is simple although difficult; tapping the left trigger allows you to fine tune your drifting when going around corners but it takes a lot of practice. Cars handle well for the most part but can sometimes spin out a little too easily, which caused me to restart a race on more than one occasion. The difficulty curve is relatively steep to begin with, so don’t expect that you’ll be able to face the big guns after only a few races. Most Wanted is a game that requires patience to master but it’s totally worth it at the end. The open world works well to create the freedom that a street racer ought to feel. While there’s a lack of human emotion to the world the city of Fairhaven is full of vehicles to discover, challenges to complete and stuff to break, which the game rewards you for so don’t feel bad about breaking a speed camera every once in a while (although we all want to do that in real life anyway). It may feel a little repetitive at its core but when Most Wanted is at full throttle it’s an absolute blast. Most Wanted runs at a smooth 30 frames a second most of the time. When the action picks up it can get a little choppy but it’s surprisingly rare for a game that looks this good so you can forgive it for stuttering on occasions. The cars are what this game is all about, and they look amazing. The amount of detail Criterion has put into making these cars look like the genuine things is astounding. It almost makes you want to drive slowly around the city to prevent any scratches to your paint job, but the crashes are so spectacularly awesome you can’t help but drive 200km/h into the nearest car. Fairhaven is a relatively diverse looking environment. One minute you can find yourself driving through the CBD, the next through the outer mountainous terrain. Despite not having the largest environment to work with Criterion has done a great job at ensuring the look of the city flows well aesthetically. Apart from a few blocky buildings and some texture pop-in this is a rather beautiful looking game. I’ve never heard a video game sound this good. Never, ever. Every car you drive sounds genuine and real, from the roars of the engine to the screeching of the tires. Everything has a beefy sound to it and it’s fantastic, and what I found most impressive was the quality of the sound when your car was changing locations; the echoes in the underground tunnels sounded terrific and the wind effects as you drive along the mountains shows a great deal of attention was paid to making this game sound great. If you think the sound effects are great, wait until you hear the music. 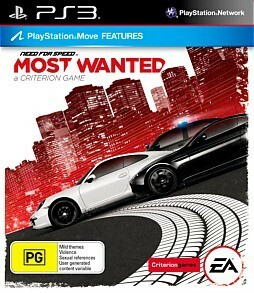 Most Wanted features one of the best video game soundtracks around, with a great variety of driving tracks that span many genres and make driving around Fairhaven even more exhilarating. I was pleasantly surprised to find some of my personal favourite songs included, such as Zoom by Last Dinosaurs. Considering this is by an Australian indie band I was rather startled when I heard it come on my car’s radio. Every song works and flows extremely well. The team at Criterion games have a great taste in music and ought to be congratulated on it. The overall audio quality of Most Wanted makes it very special. A true masterpiece in sound design. Ready for another exhilarating gaming experience? Need for Speed Most Wanted is your answer. Going back to the franchise’s roots which made it the classic it is today, this is an unmissable instalment in the series that you must play. It’s time for your next dose of adrenaline.